What is a hybrid fund, and how can you benefit? Many investors know that a balanced portfolio is a wise way to approach investments—a mix of risk levels, both aggressive and conservative, creating an overall moderate approach. One way to find balance and diversification is with a hybrid fund, which is a type of mutual fund scheme. Here’s a look at what a hybrid fund is and all of its advantages. What is a hybrid fund? A hybrid fund, sometimes known as an asset allocation fund, is a diverse investment fund with two more classes of assets, usually both stocks (equity) and bonds (debt). This is where the term “hybrid” comes from: investing in multiple classes through a single fund, or a mixed-management approach. As mentioned above, these funds are invested in both debt and equity. Debt investments could include government securities, bonds, or treasury bills, and equity investments include company shares across industries such as finance, healthcare, automotive, or real estate. 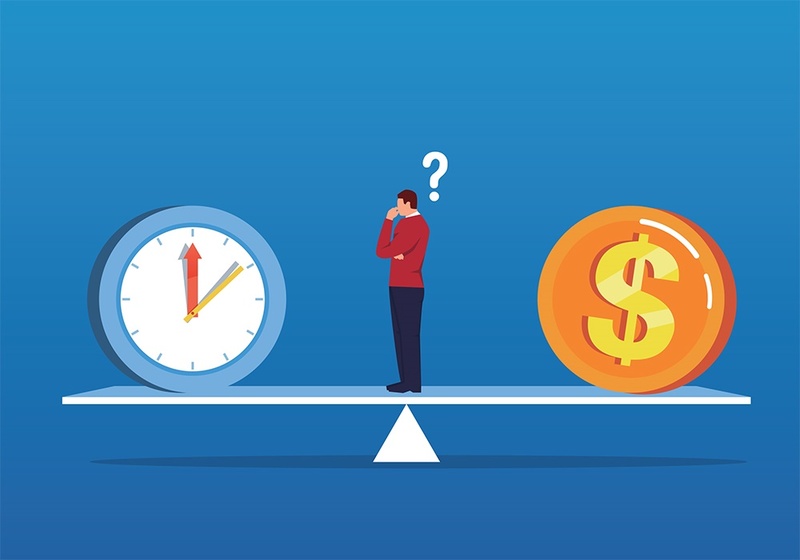 A balanced fund is a popular type of hybrid, which typically invests 65 percent into equity, and is a more moderate approach that still slightly leans toward equity. Another hybrid fund type is a target date fund, or lifecycle fund, in which you also invest in different asset classes to help diversify. However, the key difference is that target date funds start out with more aggressive investments and slowly balance out to be more moderate by a specific date. Retirement accounts are often target date funds, since there is a specific “target” date at which they’ll reach their investment goal. Whatever the asset allocation may be, a hybrid fund is defined by including a mix of at least two asset classes, often more. Sometimes these allocations are fixed, and sometimes they’ll vary over the life of the fund. These funds can offer a nice portfolio balance to investors, since the levels of risk vary, giving opportunities to invest both aggressively and conservatively. A balanced portfolio allows an investor to receive both short-term income and long-term wealth appreciation. And, by investing in both debt and equity, investors reduce the overall risk of their portfolio. These funds are balanced because they’re safer than equity-only funds, and generate higher returns than debt-only funds. The debt component essentially stabilizes the investment and helps balance out the risk that equity investments create. With hybrid funds, managers can manage allocations and respond as necessary if the market changes, and can thus benefit from opportunities for capital appreciation. And, you don’t actually have to select a stock fund or bond fund; you can have one fund that automatically chooses where to invest for you, automatically diversifying. Because hybrid funds work this way, you don’t have to do much decision-making yourself on a daily basis. Another benefit is that investing in both equity and debt can be tax efficient. If you invest more than 65 percent in equity with hybrid funds (which would be referred to as an equity-oriented fund), you could benefit from a lower capital gains tax, if an asset is held for more than a year, making the tax between 0, 15, or 20 percent. With bond funds, the capital gains tax rate would be your normal income tax rate, which can be up to 37 percent, depending on your tax bracket. However, note that some types of bonds could be taxed differently. There are some municipal bond funds that are tax free, but that usually only applies if you live in the same state where the bonds were issued. Municipal bonds are usually not taxable at the federal level. For those investors seeking a fairly simple way to diversify and balance their portfolio, hybrid funds can be a great option. Risk is managed and balanced with longer-term debt fund investments, while short-term benefits are also seen with stocks as well. **The material provided is for informational purposes only and do not constitute accounting or tax advice. Persons should not act or rely upon this information without consulting their own accountants or tax advisors. Wentworth Management Services is committed to building lasting, productive relationships with those we serve. Our holdings include a broker-dealer firm with a dealer manager business, an investment banking division, and a wholesale distribution division. We strive to make growth capital a reality for companies, while helping them approach wealth management and growth strategically. To learn about our platform and risk vigilance services we can offer you, contact our team at Wentworth today. Fill out the contact form and we’ll respond within one business day.